John Templeton paid attention to the emotion of the stock market. The first half of his philosophy was “The time of maximum pessimism is the best time to buy.” When everyone else was selling, he bought low during the Depression and in 1939 at the onset of World War II . . . and he made millions. The second half of his philosophy was “the time of maximum optimism is the best time to sell.” He sold high during the Dot.com boom when everyone else was still buying. Founded in the 1950s, his Templeton Growth Fund averaged 13.8% annual returns between 1954 and 2004, consistently beating the S&P 500. I think there are a few ways to make many times (10x to 100x +) your money over a long period of time. The first would be to own emerging growth companies that have owner-operators who are both excellent operators and capital allocators who grow the company profitably at a high rate over decades. The business generates high returns on capital while being able to deploy capital into further growth. Think of owning Wal-Mart in the early 1970s or Amazon after its IPO or 2001. There will be a post on 100 to 1 baggers soon. I prefer this approach. The second way would be to buy distressed assets and then improve those assets or create efficiencies by creating economies of scale. Carlos Slim, Mexican Billionaire, would be an example of this type of investor. Think activist investing. Note that Carlos Slim has operated at times as a monopolist in a government protected market. Most of us do not have his options. The third way would be to buy deeply-distressed, out of favor, cyclical assets and then resell upon the top of the next cycle. Gold mining is a difficult, boom/bust business, for example–see Barrons Gold Mining Index below. All businesses are somewhat cyclical, but commodity producers are hugely cyclical with long multi-year cycles due to the nature of mining-it takes years and high expense to reopen a mine and even if I gave you $2 billion and several years, you and your expert team may not be able to find an economic deposit. Note the five-to-ten year cycles below. We are focusing on the third way, but in no way do I suggest that this is for you. You need to be your own judge. There is a big catch in this approach, you need to choose quality assets and/or companies with managements that do not over-leverage their firms during good times or overpay for acquisitions during the booms (or you could choose leveraged firms but be aware of the added risk and size accordingly becasue when a turn occurs, the leveraged firms rise the most). You also need to seek out a period of MAXIMUM pessimism which is difficult to do. How do you know that the market has FULLY discounted the bad news? Finally, YOU must be prepared to invest with a five-to-ten year horizon while expecting declines of over 50%. That concept alone will make you unique. Probably most will turn away from such requirements. Next preview the readings below. First you need to understand Austrian Business Cycle Theory to grasp how massive mal-investment occurs. Why does China have newly built ghost cities? Distortion of interest rates causes mal-investment (the boom) then the inevitable correction because the boom was not financed out of real savings. 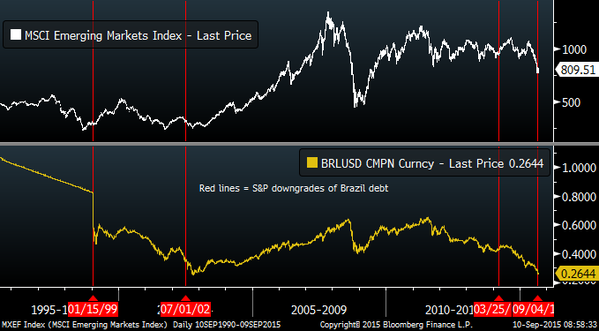 Why is the bust so severe for mining/commodity producers? Read Skousen’s book on the structure of production. Think of a swing fifty feet off the ground and 200 feet long. If you are sitting near the center of the swing’s fulcrum (nearest the consumer), then the ups and downs are much less than being on the end of the swing furthest from the consumer (the miners and commodity producers). 4 files were sent to you. Then Throwing in the towel on Vale. I am not picking on Prof. Damordaran because we all make mistakes, and he graciously has provided a case study for us. Study the posts and the comments. Can you think of several research errors he made (BEFORE) he invested? Remember in the prior post, the long-term chart of the CRB index showing commodities at 41-year lows since the CRB Index is below 175 or back to 1975 prices? Then why, if gold is a commodity, doesn’t gold trade at $200 or at least down to $500 to $700 as the gold chart from that time shows? Why, if gold is money, doesn’t gold trade in US Dollars at $15,000 or the estimated price to back US Dollars by 100% in gold? You can change the amount to $10,000 or $20,000, but you get the idea. 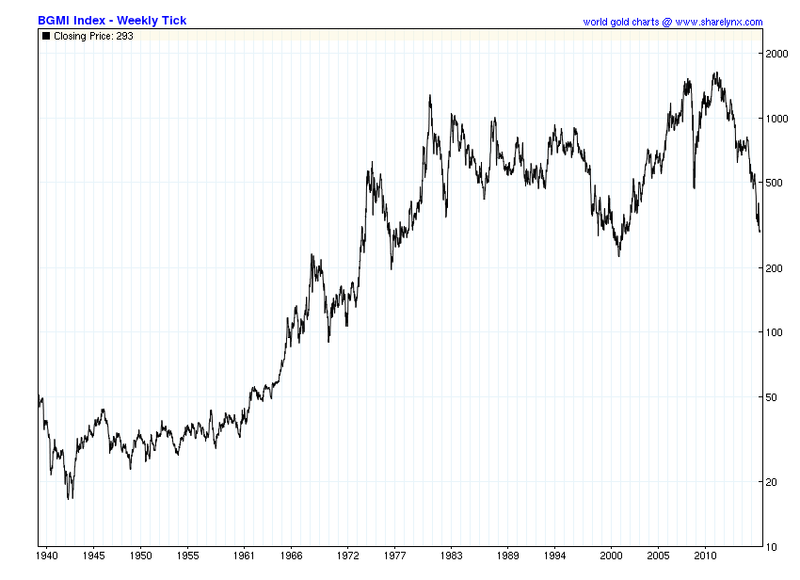 Gold during the boom of 1980 rel. to Financial Assets in 1980 the price of gold at $800 per ounce allowed for the US gold holdings to back each US dollar then outstanding. Try thinking through those questions. 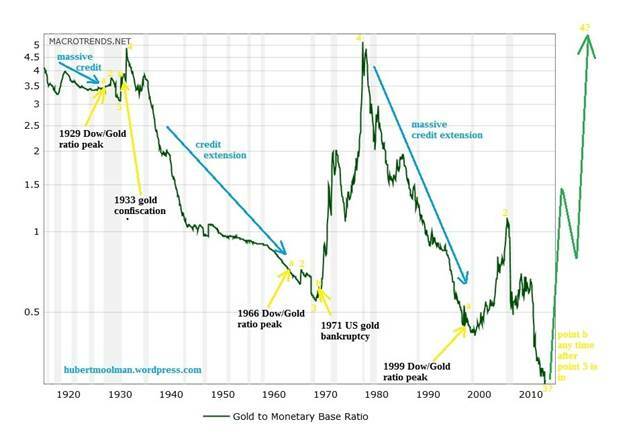 Can we use what we learned from gold to value oil? I will continue with Part III once readers have had several days to digest the readings and at least three readers try to answer at least one question. 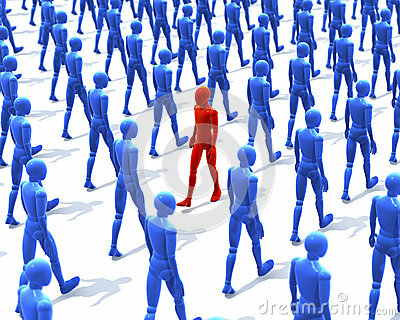 Until then……………………….be a contrarian not contrary. No Mas, No Mas! The Vale Chronicles (Continued)! Some of my Brazilian readers seem to be upset that I used “No Mas”, Spanish words, rather than Portuguese ones, in the title. To be honest I was not thinking about language, but instead about a boxing match from decades ago, where Roberto Duran used these words to give up in his bout with Sugar Ray Leonard. I have used Vale as an illustrative example in my applied corporate finance book, and as a global mining company, with Brazilian roots, it allows me to talk about how financial decisions (on where to invest, how much to borrow and how dividend payout) are affected by the ups and downs of the commodity business and the government’s presence as the governance table. In November 2014, I used it as one of two companies (Lukoil was the other one) that were trapped in a risk trifecta, with commodity, currency and country risk all spiraling out of control. In that post, I made a judgment that Vale looked significantly under valued and followed through on that judgment by buying its shares at $8.53/share. I revisited the company in April 2015, with the stock down to $6.15, revalued it, and concluded that while the value had dropped, it looked under valued at its prevailing price. The months since that post have not been good ones for the investment, either, and with the stock down to about $5.05, I think it is time to reassess the company again. John Chew: At least the author has a process to reassess his investment. I believe the critical flaw in his analysis (easy to say in hindsight) was not noting the massive mal-investment due to distorted credit markets caused by central bank policies. To normalize iron ore prices you would need pre-distortion prices going back twenty-five years.